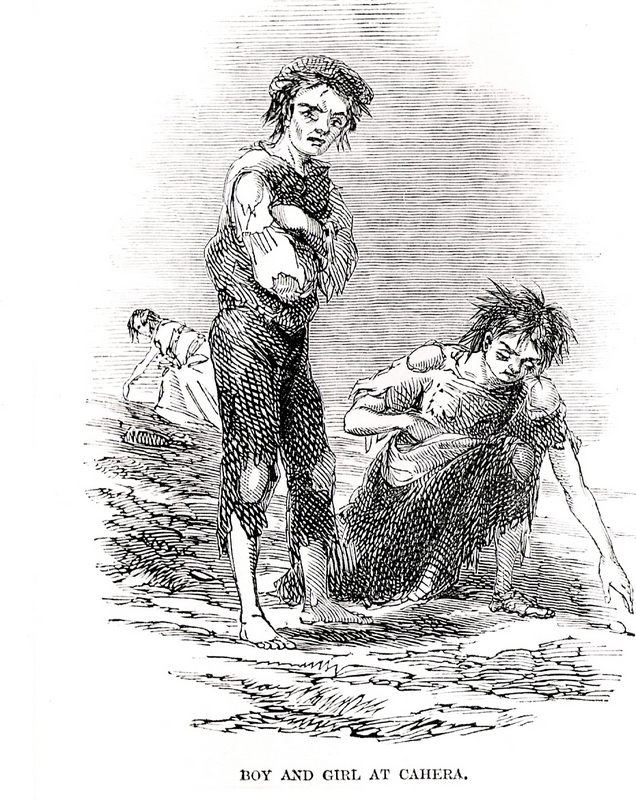 Earl Grey’s Irish Famine Orphans (3): Organization cont. There may always be some spillage ‘twixt cup and lip, a difference between plan and practicality. Still, may I suggest the Colonial Land and Emigration Commissioners’ Memorandum for the emigration of female orphans from Irish workhouses to Australia is of crucial importance to any understanding of the Earl Grey scheme? The Report is well thought out, well set out, and comprehensive. If I may return to it (see my second post), I can illustrate this assertion further. Later, I’ll look more closely at the ways Irish Boards of Guardians met the requirements the Commissioners asked of them; viz. providing the ‘Out-Fit’ asked for, and arranging the orphans’ conveyance to Plymouth, their port of embarkation for Port Jackson (Sydney), Port Phillip (Melbourne) or Port Adelaide. That should help us appreciate the practical difficulties they faced. 7. Every pains will be taken to find the Emigrants respectable Employers– when their age and circumstances render it fitting, they will be bound Apprentices, under Laws which are in force in the Colonies. It will be stipulated that fair wages shall be paid by the Employers, according to the current rate prevailing in the district; and after deducting such portion as may be required to pay for clothes, and other current expenses, the remainder of their wages will be reserved, to be given to them at the expiration of the Contract, or…at their marriage, provided it be approved by the Government, or by the Committee appointed to act on its behalf. Power will be retained of forfeiting the reserved wages of any of the Children who may abscond, or whose indentures may be cancelled for misconduct. The New South Wales Legislative Assembly’s “Report of the Select Committee on Irish female Immigrants”, Sydney 1859, will tell us how this worked out in practice, when (or if) I get that far. 8. The Governors of New South Wales and South Australia, will be directed to appoint a Committee in each Colony, at which they will request the cooperation of the Bishop of Australia and the Roman Catholic Archbishop of Sydney, and in South Australia, of the Bishop of Adelaide and the Roman Catholic Bishop, to see that these stipulations are duly observed by the Employers… This might appear to be wishful thinking i.e. giving such Committees powers which in practice they could never police to the full. How could they once the young women went into the hinterland? But they nonetheless went to great lengths to make it work. In a Despatch (Earl Grey to Sir C. A. Fitzroy, Governor of New South Wales, 28 February 1848, even before the Irish Government approved the scheme) Grey expressed his hope that not only prelates of the Anglican and Catholic churches would consent to serve on the Committee “but also some of the leading clergymen of the other denominations”. In addition, he suggested the Committee ask for applications for servants from “the most respectable persons in different parts of the colony”, things which did indeed occur. But more of this at a later date. The Colonists are desirous of adding to their body, not the idle and worthless, but those whose education and moral and religious training afford a reasonable guarantee that they will become active and useful members of a Society which is in a state of healthy progress; and it will therefore be imperative on the Colonial Land and Emigration Commissioners to select those young persons whose education has been attended to, and of whose conduct they receive a satisfactory report from the competent authorities. This is a clear statement of the social engineering in which the Imperial authorities were engaged. Yet a 21st century reader will wonder why the word ‘famine’ never appears anywhere in this document or why there seems to be no real understanding of what was happening inside Irish workhouses. Was it more than a spillage twixt cup and lip? By the end of March 1848, the Irish ‘government’ had given assent to the scheme. Irish Poor Law Commissioners had identified sixty-eight workhouses and another twenty-three possibles with potential emigrants in the places they’d been advised to look, that is, in the “better regulated” workhouses. In a fine example of government delegating authority, Lord Grey decided the CLEC would communicate directly with Boards of Guardians of Irish workhouses. The Commissioners themselves would be responsible for appointing Matrons and Surgeons to the ships that would carry orphans to Australia. In theory, it was just a question of queuing up until you were called to go. In practice, things would move more slowly: the Earl Grey female orphan emigration scheme was only one of the many things confronting Irish workhouses. Death, and disease, maintaining discipline and tending the sick, feeding the inmates, making them work, and managing finances were just some of the others. It took time to find out who was willing to emigrate and to arrange for their inspection by Emigration agents. It took time to put out tenders and decide who would supply shoes, clothes and boxes for the orphans. It took time to gather small groups together and arrange travel, by cart or rail or Bianconi coach, to an Irish port and thence by steamer to Plymouth. And one would never know when another crisis would occur; ‘the young women chosen cannot go just yet, cholera has taken hold in the workhouse‘ (Kells BGMB 1849). The matron of the workhouse has absconded with the clothes for the ‘girls’. Fortunately, many of the Board of Guardian Minute Books for workhouses that sent female orphans to Australia have survived for the appropriate period. From these, we see something of the scheme in action. Let me give some examples. Presumably. when Poor Law Commissioners were directed to focus on ‘better regulated’ workhouses, it was to improve the scheme’s chance of success. That, however, did not ensure uniformity of practice either from workhouse to workhouse or as time went by. Some, such as Clonmel and Cashel were sticklers about the selection process. There had to be medical certificates and testimonials for each of the young women. Others such as Poor Law Commissioner Edward Senior could write this was a chance to get rid of some of the ‘permanent deadweight‘ from Northern Unions. [Is minic a ghearr teanga duine a scornach /It’s often a person’s tongue/language cuts his throat. Or Ní thuigeann an sách an seang/The well fed does not understand the lean]. (I wonder if this Edward Senior was related to Nassau Senior. Does anyone know?) Yet Senior made sure he was seen to choose Belfast orphans very carefully indeed, interviewing each one, asking if they could read, what work they had done, did they have character references? (See Richard Reid’s excellent study of assisted emigration to Australia, Farewell My Children, Anchor Books, 2011, p.143). In March 1848 Senior ‘strongly advocated keeping emigrants from the North of Ireland together‘ and even asked for a ship to be sent from Belfast. The latter was refused. Belfast, like Clonmel and Cashel, was a well-regulated workhouse. The Belfast Board was even prepared “to provide temporary accommodation for the emigrants who may be sent to Belfast from the other Northern Unions until they can be embarked” and “to provide a medical inspecting officer other than the medical officer of the workhouse“. On the 17th May, 1848, they used a vacant building to accommodate emigrants from Antrim, Armagh, Ballymena, Banbridge. Cookstown, Downpatrick, Dungannon, Lisburn and Newtownards. “The Board of Guardians wish to intimate to the inmates of the workhouse that it is not intended that any more orphans should be sent to Australia this year and that should it be determined to send others they will be strictly selected from those who have been in the house for the last three years without ever having left it during that time and who are likewise without father or mother. “The young girls selected by Lieutenant Henry, at the request of the Board appeared before them in their new dresses. The Board being well satisfied with their clean and healthy appearance. A pity those letters have not survived (as far as we know). Enniskillen Workhouse which was to send a considerable number of young women to Australia was in such a sorry and dirty state in 1846 and 1847 that the Board of Guardians was dismissed. 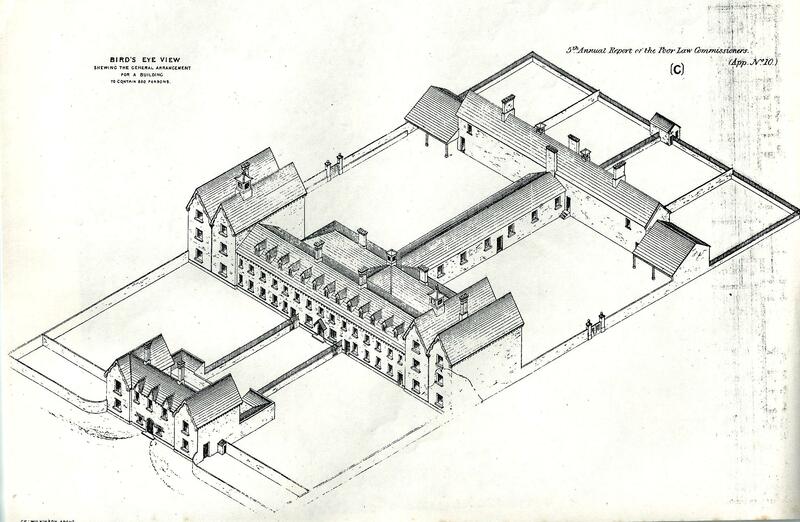 In 1848 Vice Guardians were appointed to set the administration of the workhouse on an regular footing. Perhaps this was one of the reasons Enniskillen so willingly took up the offer of a free passage to Australia for so many of its adolescent female inmates? Nonetheless, in November 1849 they received a bill for 4s 6d from the Emigration Officer at Plymouth; some of the females’ outfits were ‘deficient’. They were short of ‘blacking’. Even a newly reformed Enniskillen could fail to provide everything that was required of them. The most expensive part of the scheme was providing outfits and passage to Plymouth. Such expense must have been a burden for even large Poor Law Unions, for all of them, really, were already reeling under other commitments. Let’s have a closer look at some of the expenses. The Matron of the workhouse presented her estimate for clothes for 60 emigrants and the items were put out to tender. By 10 February the guardians accepted tenders for a very long list of items, 30 boxes at six pounds seven and sixpence from Timothy Divane; woollen plaid, printed calico, Orleans for aprons, handkerchiefs, woollen shawls, mitts, gloves, whalebone, ribbon, cotton tape, grey and black twilled calico, brown satin, fancy satin, lace, hooks and eyes from Henry Welpley; towelling, grey Angola, black and white calico, cotten(sic) for aprons, cotten for wrappers, cotten for dresses, plaid and linen for cloaks and dresses, shawls, hooks and eyes from Thomas Molony, all costing a handsome sum of money. July 1849 Resolved to ask the superintendent of Dublin Railway station if 26 orphans could be allowed to travel second class at a third class fare. Resolved the Clerk of the workhouse to ask Mr Bianconi how much he would charge to take 26 young women and their chaperone along with 26 boxes 2′ long x 14″high x 14″wide from Clogheen workhouse to the Dundrum Gold’s Cross railroad station on 18th July in time for the day mail train to Dublin. 23 June 1849 having looked into contracts for the outfit for the emigrants it was resolved that Mrs Morrissey would supply cloaks, woollen plaid for dresses, orleans for dresses, shawls, neckhandkerchiefs, pocket handkerchiefs, stays, white cotton stockings, worsted stocking, woollen mitts, linen collars, printed calico for gowns, ginghams for wrappers, bonnets and caps and Mr Gaffney would provide white calico, towels, combs, brushes and prayer books. I’m sure we can picture what the young women looked like, dressed in clothes the likes of which they probably never owned before. 22 September 1849 The clerk is ordered to ‘ascertain the best and most economical way’ of sending orphans to Dublin. All this, I hope, gives us some idea of what was involved in getting the young women to the port of embarkation in England. The logistics, as you can see, were far from simple. In December 1848, the CLEC replied to the Lords Justices in Ireland explaining the apparent delay in getting the female orphan scheme underway (see the quotation at the beginning of my second post). In their answer, the Commissioners used some of the things mentioned above but they added something more. It was always their plan for the year, they said, to send ‘about 14,000 emigrants from the United Kingdom with a proportionate emigration from Ireland at 4,000’. It was ‘never contemplated taking the Irish emigrants exclusively from the female orphans in the workhouses but proposed to take about 2,500 of that class and the rest from the ordinary agricultural population’. Moreover, after the Roman Emperor was dispatched to South Australia in July, “so strong a representation was made to the Colonial Office by persons in this country interested in the Colony against sending Emigrants of this description to South Australia that we thought ourselves bound to abstain from sending any more of them to that colony, until we should receive intelligence as to the manner in which the first body was received“. The politics associated with the scheme were never far away. By the time the scheme was brought to an end in 1850, just over 600 females orphans would travel to South Australia, another 2,200 to Sydney and nearly 1,300 to Port Phillip. Where to next? Dare I talk about the young women themselves? Eat a Peach? Wear my trousers rolled? Maybe a little break is called for. My very best wishes for the ‘gathering’ in Sydney on Sunday 31 August. This entry was tagged Belfast orphans, Board of Guardian Minute Books, Cashel BGMB, Clogheen BGMB, Coleraine BGMB, Colonial land and Emigration Commissioners' plan for orphan emigration, Colonial social engineering, Dunshaughlin BGMB, Edward Senior, Enniskillen workhouse, Irish Famine orphans, Irish Poor Law Commissioner, Irish workhouses, Londonderry BGMB, Magherafelt BGMB, organization of earl grey scheme, Orphan Committees in each Australian colony, Richard Reid, Workhouse plan. Bookmark the permalink. Reblogged this on trevo's Irish famine orphans. Lots came from elsewhere in the ‘North’. avatar(?) / pic you are taken to some more info. Can you tell me if both these work? Ta–am still very much the innocent abroad. I see there are a number of typos in post 3 i should correct sometime.ah well such is life…which reminds me Barrie Dowdall did a great film on Ned Kelly. Hi,I shall look up Barefoot 2 ,Some of the ones you listed I see are in Barefoot 1. I did find an Address for Mary Murray’s father Charles Murray,Leather cutter,living at 66 Union st Belfast in the 1843 Trade Directory. I see Mary was R.C.,I was under the impression that the girls on “Roman Emperor” were all Protestant.I guess you can’t always believe what you read in the papers!! Some people have said that the girls were all children of farmers,that’s not true either. I shall keep you informed. Very Good read.So it is possible that girls who came out on the “Roman Emperor” in 1848 from the Belfast Workhouse were not necessarily from the Belfast area? Thank you Trevor for sharing your exhaustive research. Reading it, I feel much closer to my orphan girl.